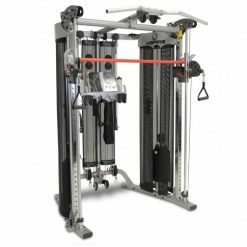 The Freemotion Genesis Dual Cable Cross is perfect for those looking to focus on functional training. With many adjustment options there are almost an unlimited number of positions in which to use it making it a great addition to any gym. 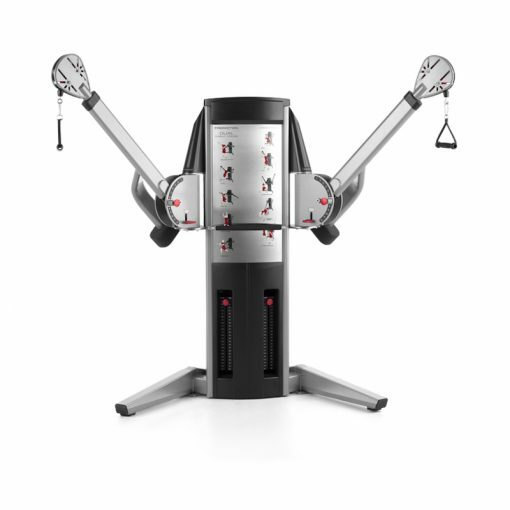 The Freemotion Genesis Dual Cable Cross is the perfect functional trainer. 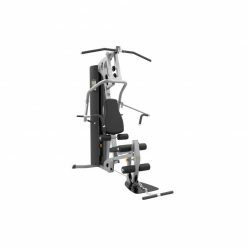 The Freemotion Genesis Dual Cable Cross enhances strength by allowing users to perform movements that mimic activities in everyday life. 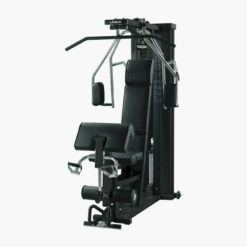 Every muscle and plane of motion can be worked and challenged on this unique machine. Lead one-on-one personal training sessions or small group circuits for a strength, stability and balance component you won’t find on fixed-isolated machines. The open design makes it ADA compliant and welcoming for all fitness levels. Add a bench or stability ball to create a truly customized workout for members who want to focus on ab work. User-defined movement: counterbalanced arms rotate independently with 12 vertical and nine horizontal settings, in virtually any movement pattern. 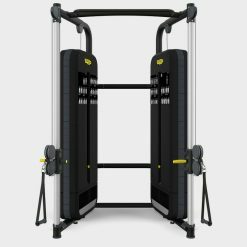 Moving handles: handles move independently to create unlimited exercise options. Intelligent, swivel pulley design: creates fluid cable travel and a nearly unlimited range of motion. Cable travel: the long cable length and flexibility allows for full exercise extension. Two arms: 97 in (246 cm). Kick plates: strong 16-gauge, stainless steel kick plates protect the machine from wear and tear. Weight stacks: enclosed weight stacks limit access to moving parts for safety. 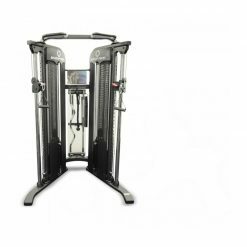 Dual independent stacks allow two members to workout simultaneously. Freemotion are all about innovation. Ground Zero was founded in 1999 and then acquired by ICON Health and Fitness who later rebranded the business as Freemotion. They have had many achievements including the introduction of the world's first road simulating indoor bike (which is now a key feature across the industry) as well as being the first manufacturer to produce machines with quick incline and quick speed.